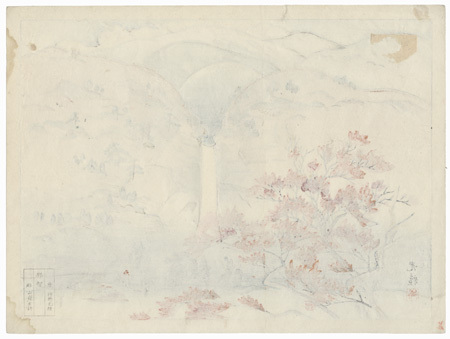 Yamato-e Prints - Kyoto artist Matsuoka Eikyu was a noted painter credited with reviving and modernizing the traditional Japanese painting style known as "yamato-e," a style dating back to the Heian era. 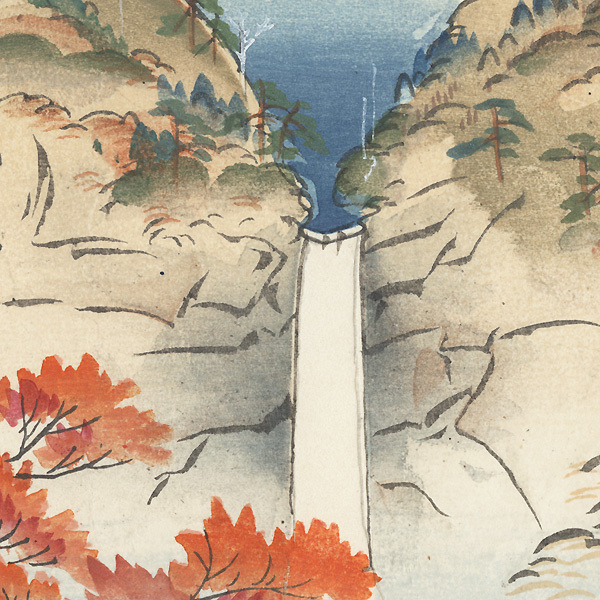 Under his direction in the 1930s, he and a group of Kyoto artists designed a series of landscape prints published by Shin Yamato-e Moku-Hanga Kankokai. These lovely painterly images are beautifully printed to capture the look and feel of the artist's brushstrokes and subtle gradations of color. Each print has a seal on the reverse with the publisher name, artist, title, and the name of the expert carver, Yamagishi Kazue. 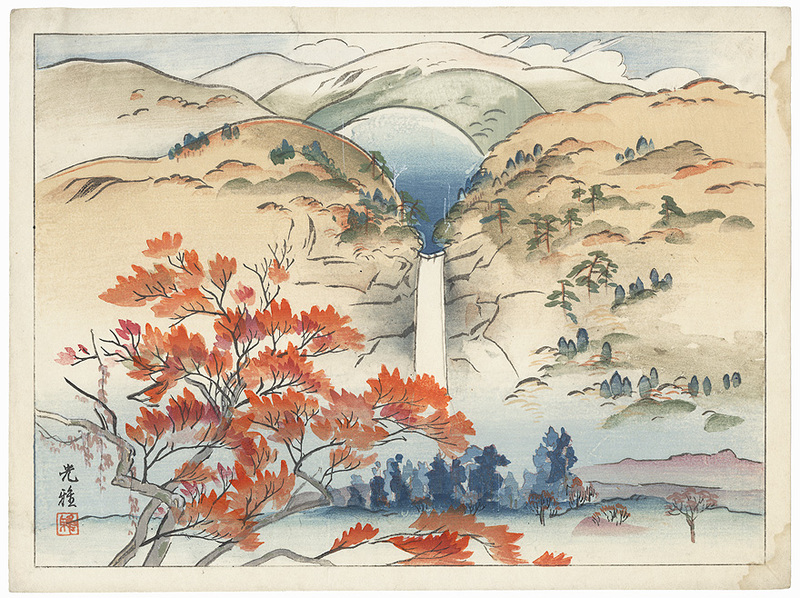 Works from this series are rarely seen on the market, and are a great choice for a shin-hanga collector. Condition - This print with excellent color and detail as shown. Paper remnants on reverse at corner from previous mounting. Tear at edge, repaired. Slight soiling, a few creases at edges, stains at edges. Please see photos for details.